An olio of pictures that don't fit in any of my other subject-themed galleries. This seems to be where I send pictures of oddities and anomalies, among other subjects. D357-2017 This one regrets not flying south for the winter. 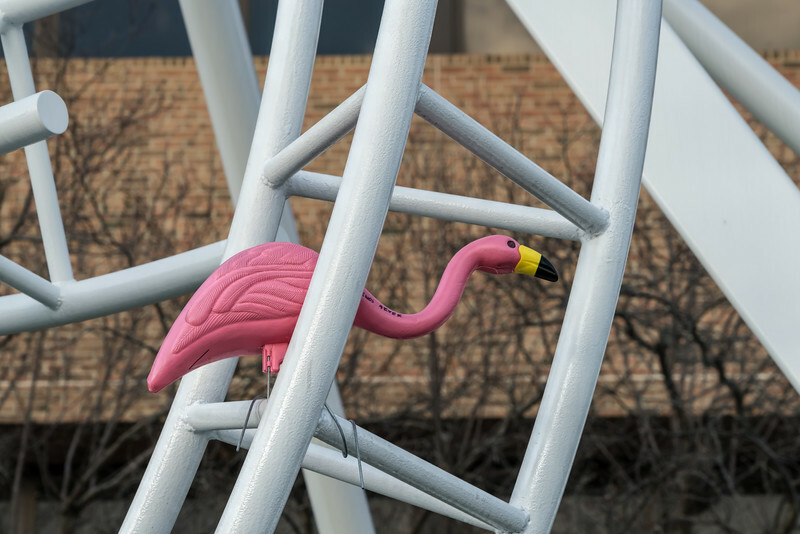 Some wag perched a plastic pink flamingo within the framework of this sculpture. Look closely and you can read 'Friends 4ever' written on the flamingo's neck. love this one It makes me feel happy!